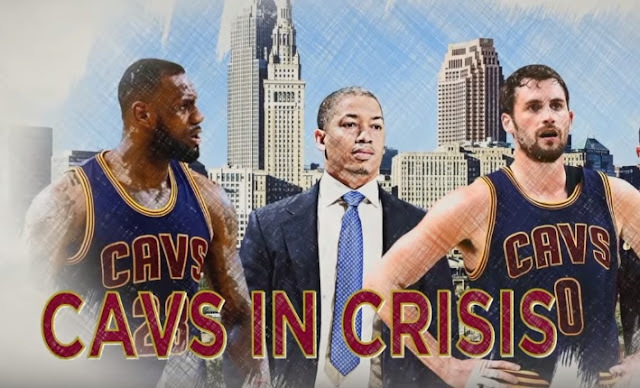 Is LeBron James Prime Starting to Decline Due to Cavs Crisis? NBA – The Cleveland Cavaliers have always struggled in the regular season for the 4th consecutive year since LeBron James returns back to Cleveland and yet they always find a way to flip the switch when the post season begins and find their ways back to the NBA Finals for 3rd straight years, but this time there are real doubts that the 3 – time Eastern Conference Champion can find ways to do it again after the struggles this season is seems real and no solution? Early this season, the Cavaliers starts the season with a win against Kyrie Irving and the Boston Celtics in the opening day of the 2017 – 2018 NBA Season and many sports critics already predicted that the Cavaliers is still the team to beat in the East and will easily get past the Celtics if the two teams meet in the conference finals? But since then the two teams went separate ways, the Cavaliers begun to struggle having won 5 of their last 12 games while the Celtics wins 16 – game winning streak. The Cavaliers regain their composure after having a 13 – game winning streak tying their franchise records and won 18 of their last 19 games, many sports analyst praises the Cavaliers as a real treat to the Warriors championship while LeBron James is having the best season of his NBA Career averaging 28 points, 8 rebounds and 8 assist per game and a legit contender for the MVP this season. But things got wrong when Isaiah Thomas was inserted into the Cavs starting lineup as the team starts to loss and not just a simple loss, but multiple blown out loss, although it is not Isaiah’s fault, but the chemistry was nowhere to be found since his return and added to the problem is the poor defense by Thomas where opposite team will take advantage to beat the Cavs? Throughout the struggles LeBron James seems not showing the old LeBron who is playing like LeBron? Is James affected by the upcoming free agency or he is not happy with the current lineup of the Cavaliers? Whatever the reason, this is not the LeBron James that we used to see who play his A-Game every night to entertain basketball fans all over the world. The way LeBron James plays today especially in their consecutive loss and not just any loss but humiliating loss is the reality that James is slowly declining his performance due to father time? And it’s beginning to hunt him whether he like it or not? Do you believe that LeBron James prime is now slowly declining? No Comment to " Is LeBron James Prime Starting to Decline Due to Cavs Crisis? "